Have you heard the name of Earl Stanley Gardner? He was a popular writer of yesteryears. A lawyer-turned-writer, people remember him because he was also the champion of the unjustly accused. He wrote nearly 100 detective stories that sold more than a million copies each, making him one of the best-selling American authors of his time. I still recall how eagerly we read his stories during our college days, especially those that centred round his lawyer-detective Perry Mason, his beautiful secretary Della Street, Paul Drake, the private detective and his opponent, District Attorney Hamilton Burger. Despite the fact that these characters have not enjoyed half the popularity of Sherlock Holmes, Hercule Poirot or even Miss Marple in India, Perry Mason has never been without his own band of loyal readers. With the Internet making virtually every book available, many have been reading his works once again. Gardner was born on July 17, 1889. The son of a mining engineer, he had no formal training in law. He settled down in California as a young man where he worked as a typist in a law firm. He read books on the varied aspects of law because he the subject fascinated him. What’s even more remarkable is the fact that he was considered eligible to be admitted to the California bar in 1911 after three years of intensive study. Gardner started his legal career by defending the poor Chinese who called him "t'ai chong tze" (the big lawyer) and Mexicans, as well as other clients. He worked as a professional attorney for 22 years and felt deeply for the friendless and unjustly accused. His lifelong concern about them prompted him to found ‘The Court of Last Resort’ in the 1940s, an organization dedicated to helping precisely such people. He remained concerned about them even after he took to full time writing later in life, when his first two books became runaway bestsellers. Gardner started writing for the popular pulp magazines of his time to supplement his income quite early in life. He also wrote ‘westerns’ for magazines like Western Round-Up, West Weekly, and Western Tales. The readers took to them eagerly, particularly his detective stories, because of the accurate courtroom scenes and the brilliant legal manoeuvres that often resembled Gardner’s own legal tactics. It has been said that, “In the courtroom Gardner radiated self-confidence just like his creation Perry Mason.” Saturday Evening Post serialized many of the Perry Mason stories from the 1930s right up to the late 1950s, long before they were published as books. So he became a popular writer even before he was recognized as a novelist. His first two books – The Case of the Velvet Claws (1933) and The Case of the Sulky Girl (1933) were instant hits. They were followed by 80 more Perry Mason stories. The Case of the Sulky Girl was included by H.R.F. Keating in his Crime & Mystery: the 100 best books, 1987. As Keating puts it, “Gardner was no stylist, but he made one demand: that the reader should outguess Perry Mason.” This is how Gardner describes Mason in The Case of the Sulky Girl "he (Mason) gave the impression of bigness; not the bigness of fat, but the bigness of strength. He was broad-shouldered and rugged-faced, and his eyes were steady and patient. Frequently those eyes changed expression, but the face never changed its expression of rugged patience." When asked about Perry Mason, Gardner told his publisher, "The character I am trying to create is that of a fighter who is possessed of infinite patience." Following up the popularity of Perry Mason, Gardner wrote a second series of novels with Doug Selby, a virtuous crusading district attorney. Popular titles in this series include The D.A. Calls It Murder (1937) and The D.A. Goes to Trial (1940). His third series, written under the pseudonym A.A. Fair, is about an odd pair of private investigators, the big and crude Bertha Cool and the tiny lawyer Donald Lam. His other creations include Lester Leith, the "Gentleman Rogue", Sidney Zoom, "Master of Disguise", Soo Hoo Duck, "King of Chinatown", detective Charlie Chan and Major Copely Brane, "International Adventurer." "The arch-enemy of the murderer is the autopsy... In cold-blooded crimes committed by an intellectual and scheming murderer who has greed or revenge as his goal, the medical examiner, following clues which would never be apparent to a less thoroughly trained individual, can establish the truth", wrote Gardner in his The Case of the Amorous Aunt (1963). He dedicated many of his books to penologists and specialists in forensic medicine. The Case of the Horrified Heirs (1964) was dedicated to John Glaister, the author of Medical Jurisprudence and Toxicology, one of the most comprehensive and authoritative books in the field. "Murder is not perpetrated in a vacuum. It is a product of greed, avarice, hate, revenge, or perhaps fear. As a splashing stone sends ripples to the farthest edges of the pond, murder affects the lives of many people" comments Perry Mason in the same book. Gardner was very serious about his writing. Despite the popular myth that he “casually whipped out his novels, improvising each scene out of thin air at his dictaphone”, he actually spent many hours on meticulous study on each of his books. Before actually dictating them he carefully worked out all his plots in longhand with painstaking care in a variety of notebooks. “He would never start to dictate until every plot problem had been solved, every character fully delineated - and with the final courtroom fireworks laid out in detail" writes William F. Nolan in his Mystery and Suspense Writers (1998). The Case of the Postponed Murder (1973) was Gardner's last Mason story. He was an ardent sportsman and an enthusiastic wildlife photographer. Essentially an outdoor person, he loved nature and animals. 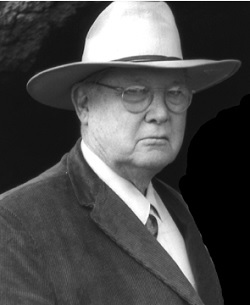 Gardner died on March 11, 1970, in his home at Rancho del Paisano. His cremated ashes were scattered over his beloved Baja Peninsula, a place he had discovered in the late 1930s and had always seemed like a sanctuary to him.